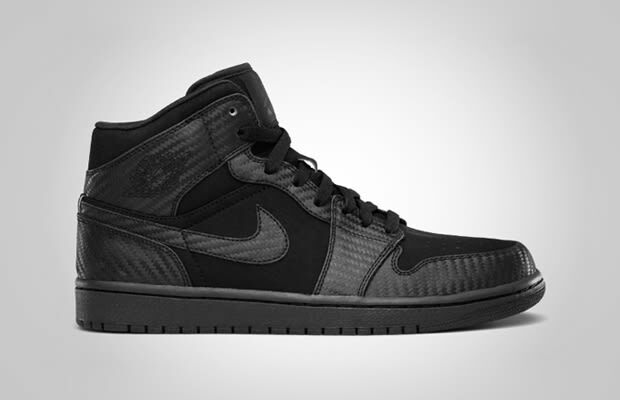 Air Jordan I Phat "Carbon Fiber Black"
We first showed you an all-white version to the Air Jordan I Phat "Carbon Fiber" in May, now we give you a peek at an all-black version. The blackened Phat features the same synthetic weave on the upper, only this time the leather quarter panels have been swapped out for nubuck. Look for these to drop in August.